We’ve got this bad habit of putting food in the freezer and then finding it five years later. Meanwhile, we’ll eat fast food 9 zillion times because we think we don’t have anything quick to make. The pattern usually goes in phases and we’ll do great eating at home for weeks on end, and then everything goes to heck if we get busy. 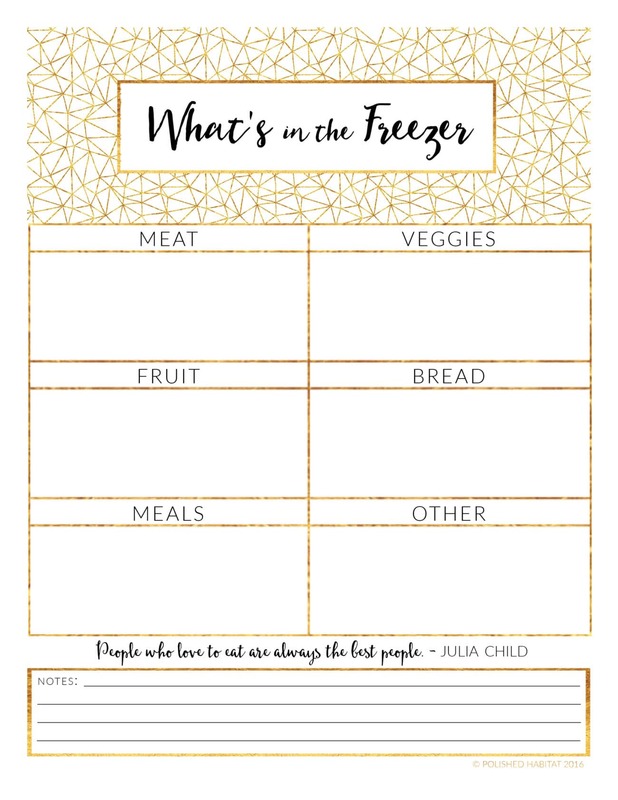 A couple years ago, I made a freezer inventory and it was super helpful. I could see what we had on hand to work with, without standing in front of the cold freezer forever. 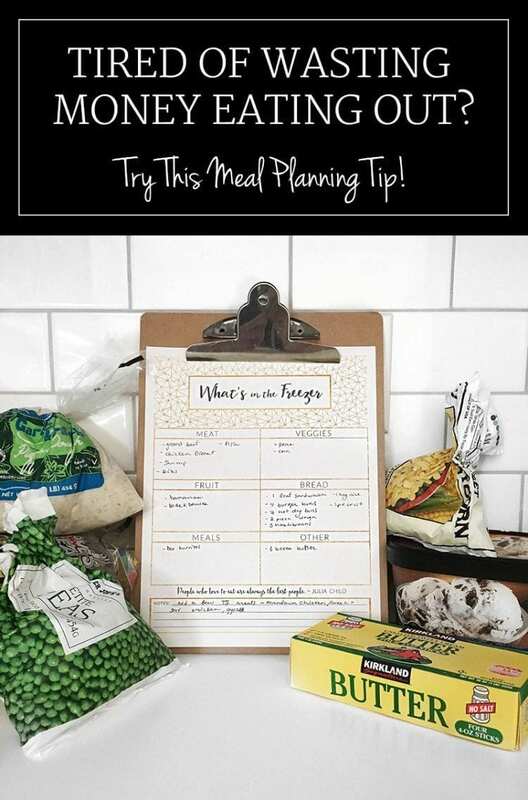 When it was time to plan out our meals for the week, I started with the freezer inventory and planned around what we already had. We saved money and ate at home way more often. As you know, pretty things make me more disciplined. 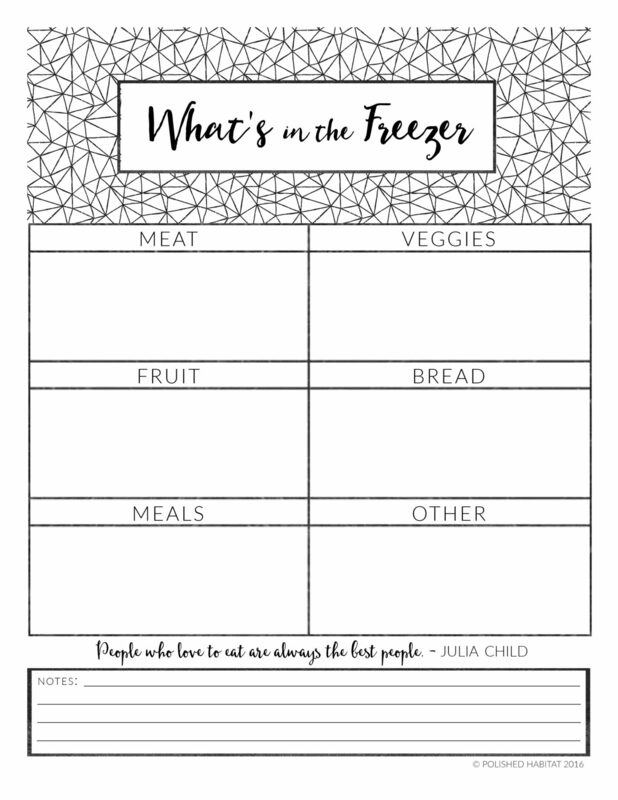 With that in mind, I thought it was time to update the freezer printable and put it back into use at our house. As I suspected, as soon as I started filling out the inventory, all kinds of meal options emerged. If you asked me what we had for dinner in the freezer, I would have remembered the tilapia, because it’s pretty new. And I probably would have said we could come up with a vegetable to serve with them. And that would be all I thought we had, and we’d totally rationalize eating out if we didn’t want to run to the store. Sad, but true. Yet, when I did a little digging to fill out the inventory, we have all kinds of delicious options. There were several “Oh yeah, I forgot I bought that!” moments. Some of you are probably way more disciplined and think this is crazy, but I’ve realized that when we struggle with something, we’re not alone. 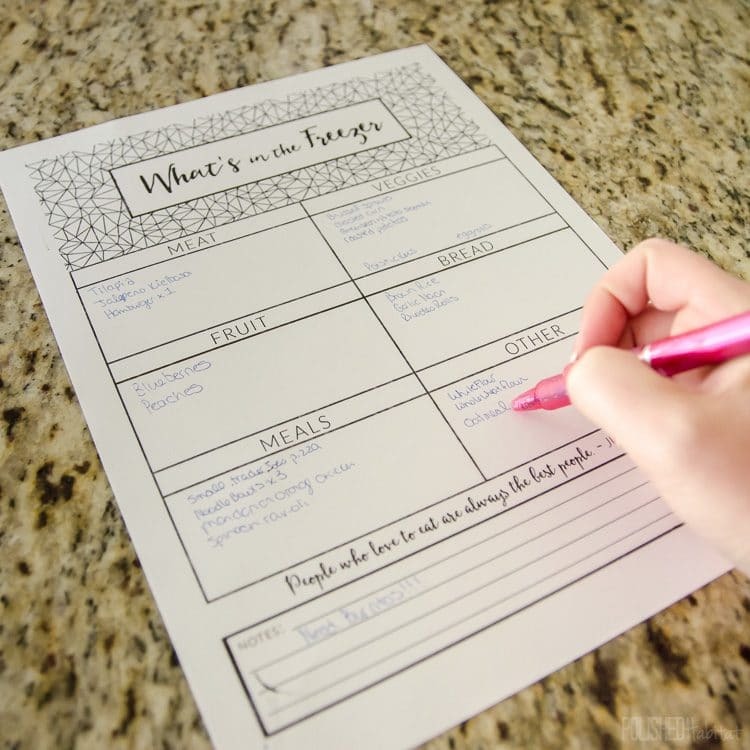 It’s not always fun to share our bad habits, but I hope this printable helps someone else as much as it helps us! You can download it in gold or black & white, just click below and it should open in a new window for you to print.